Telugu Desam Party (TDP) President and Chief Minister of Andhra Pradesh N. Chandrababu Naidu files a review petition over non-functioning of electronic voting machines (EVMs) at Election Commission of India in New Delhi on Saturday. Questioning the transfer of several officials ahead of voting, he alleged the poll body “failed to live up to the spirit of constitutional duty” during elections in Andhra Pradesh which was “dangerous for the future of democracy in the country”. safety. 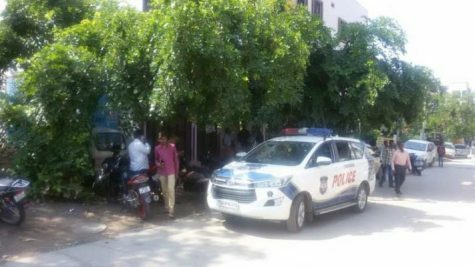 Naidu alleged that the EC acted “according to the whims and fancies of the YSR Congress Party’s candidates” as the SP of Prakasam district was transferred soon after the opposition’s nominee made a threatening statement against the police officer. 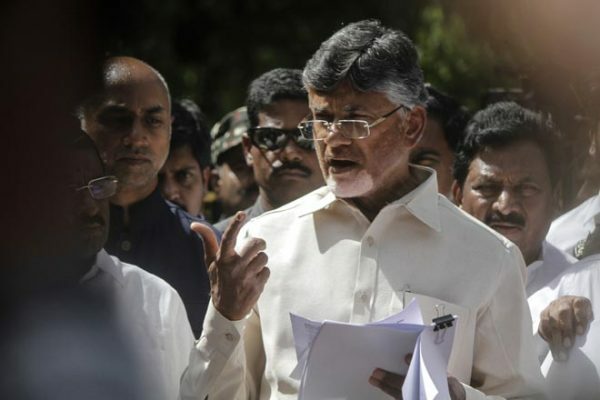 “The Chief Secretary was not only unceremoniously removed, but his replacement was done without even consulting the State government, which goes against established conventions and procedures of democratic governance,” the memorandum quoted Naidu as saying. “Transferring the Chief Secretary just a few days before the election is atrocious and the failure of the election machinery (in the State) can be attributed to this hasty step,” the TDP chief said. He claimed the transfers were made on the basis of complaints of leaders of YSRCP without seeking explanation from the officials concerned. Naidu also alleged that after his party quit the NDA, the BJP in connivance with the YSR Congress Party unleashed central agencies like the I-T department and the Enforcement Directorate against TDP leaders ahead of the elections. “Is it not the responsibility of the EC to curb such politically motivated raids on the TDP to throttle its election campaign?” he asked. During the election in the State on April 11, voting was delayed by two to six hours at many polling stations as a large number of EVMs malfunctioned, forcing many voters to return home, the TDP chief claimed. The chief electoral officer of the State himself had trouble casting his vote because the EVMs were not working, he alleged. The TDP requested the poll body to countermand polls at 618 polling stations where voting could not start even many hours after the scheduled commencement time. “Inadequate security arrangement at polling booths emboldened criminal elements that resulted in many law and order incidents, costing one man his life. Many polling stations were manned by just a home guard or a volunteer,” he claimed. Claiming that EVMs were not foolproof and there was a possibility of tampering, the TDP chief demanded that the EC return to the ballot paper system to “preserve the sanctity of the electoral process”. Simultaneous elections were held on April 11 for 25 Lok Sabha seats in the state and to elect a new 175-member assembly. Visakhapatnam: Former Energy Secretary and social activist EAS Sarma has urged the Election Commission of India to initiate cases against Andhra Pradesh Chief Minister N Chandrababu Naidu under criminal defamation as a deterrant measure to protect its Constitutional powers. In a letter addressed to Chief Election Commissioner Sunil Arora and Election Commissioners Asok Lavasa and Sushil Chandra on Saturday, he referred to the decision taken by the ECI a few days ago to replace AP Chief Secretary A C Punetha by L V Subramanyam on the ground that Punetha had failed to consult the Commission on the ill-advised decision taken by Naidu to preclude the State’s Intelligence wing from the Commission’s purview when the Model Code of Conduct (MCC) came into force. 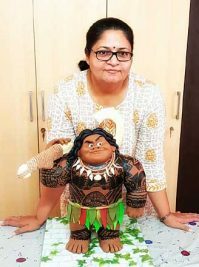 Punetha, instead of rendering an appropriate advice to the Chief Minister in the matter, had issued multiple orders that were not in consonance with the ECI’s directions and even became a tacit party to the State filing a case against the ECI which was eventually disallowed, he recalled.